So sorry you died. It seems like getting out of the way of a house falling out of the sky is not a tall order for someone with your noteworthy powers, but c’est la vie. It was those pesky Munchkins, wasn’t it? They distracted you, what with their high-pitched singing and their Lollipop Guild. Who gave those shrimps the right to unionize? It was probably the Wizard. That guy is drunk with power…or perhaps with alcohol. Rumour has it you intended to legacy those sparkling shoes of yours to your sister (along with your china hutch and photo albums), but that was not honoured. The Northern Witch stole your glittering footwear and gave them to—irony alert—the very jerk who crushed you. Perhaps a calculated violent response is in order. The young girl’s trio of friends should not pose a credible threat. Their total combined IQ might not break double digits. perhaps ever. All of them are remarkably inept at their jobs (scare-crowing, wood-cutting, and scare-peopling). Lest I forget, the shoe thief also has a small canine companion. Resourceful little pooch. He’s great at busting phonies who hide behind curtains. As for your sis, she’s, uh, indisposed. She seems to have disappeared and her employees aren’t talking. They’re singing and chanting, but not talking. 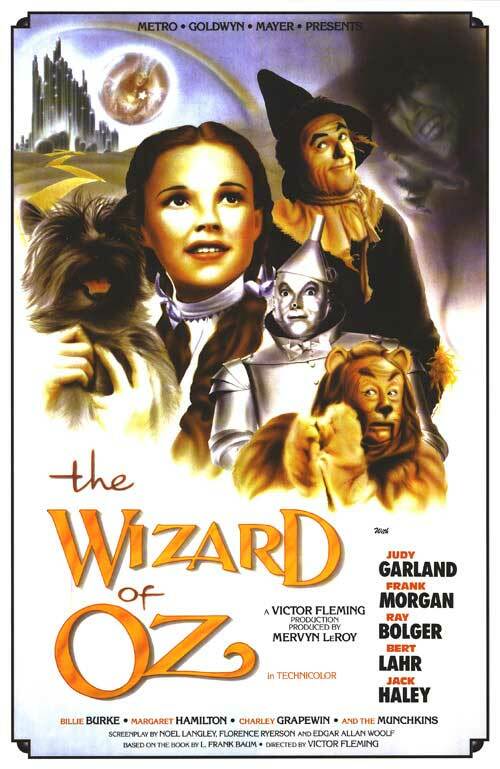 Perhaps she left Oz for somewhere vacationy, like Kansas. And why not? I hear there’s no place like it. P.S. Glinda is still a jerk.